In honour of Mothering Sunday this weekend - UK readers don't panic: ours was back on March 26th! - our host theme for the week is Mothers. With that in mind, I'm going to share something with you all - a secret, if you will. 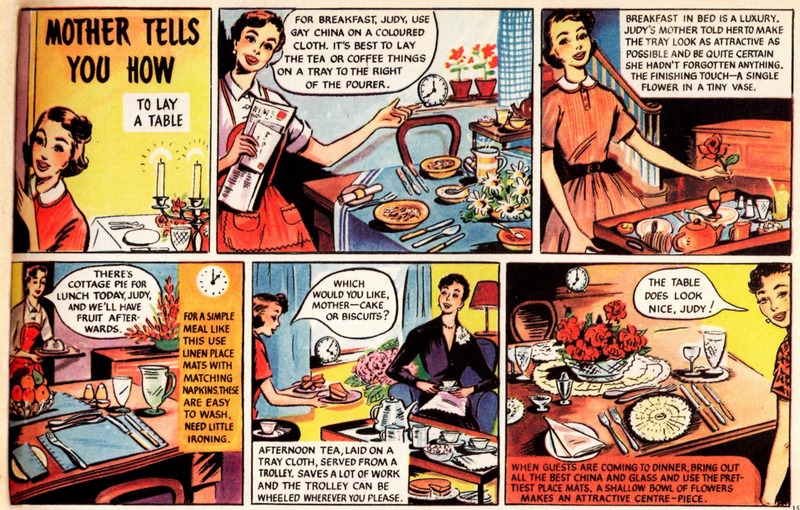 I sometimes have a hankering to be a glamorous 1950s housewife. You know the type, with a gleaming kitchen, rosy cheeked children and not a hair out of place. Given that I'm writing this at midday and I still haven't changed out of my pyjamas, I'd say it's not a goal that's about to be achieved any time soon! Still, luckily for me, Girl magazine ran a special feature to help me in my quest. 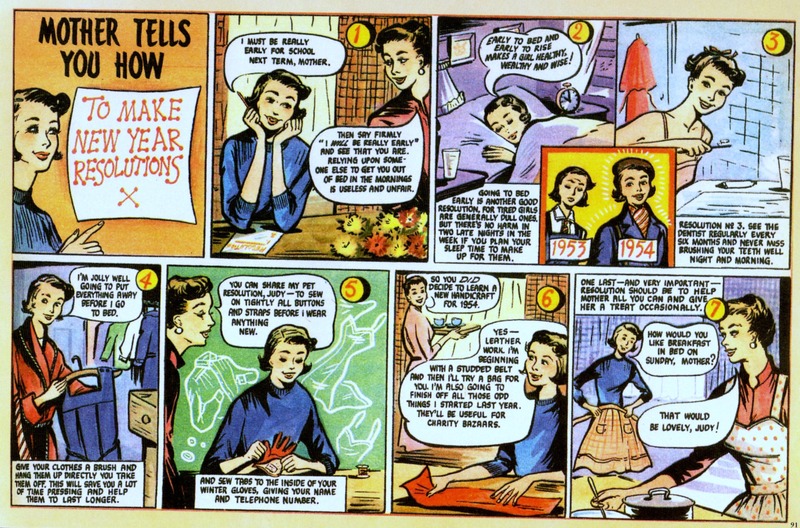 Girl was the sister paper to the popular boys' comic, Eagle, but didn't have quite the same focus on action, adventure, and feats of derring-do. 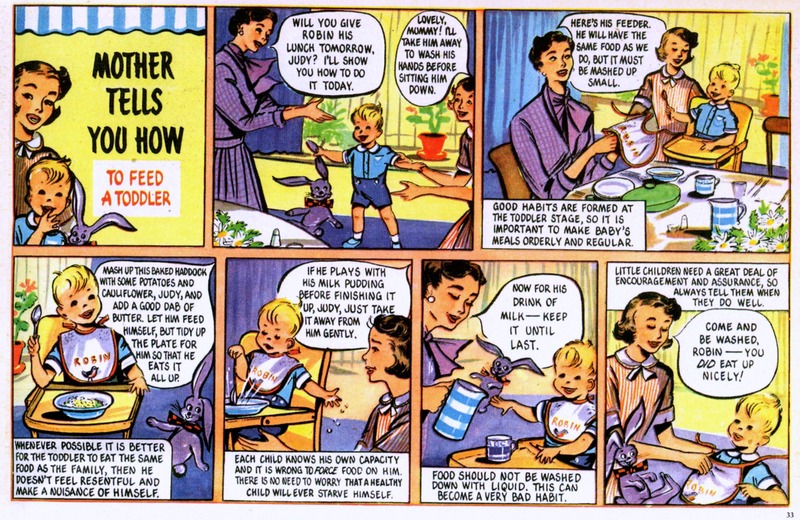 No, between 1951 and 1964, Girl regaled its readers with school stories, endless tales about nurses, and tips on how to wash up properly. 'I'm so tired of ordinary sandwiches.' Oh, Judy. It's a problem we've all faced, eh? These tables look lovely but just imagine all that washing and ironing. Thanks goodness for the wipe clean, all purpose tablecloth! Mother would be very disappointed to know that I never eat anything without a glass of water to wash it down with. Audrey is an awesome, eclectic blogger, who not only can cook up a storm over on That Recipe, but also writes at Munofore - "MUsings NOt FOod RElated." Munofore touches on humor, parenting, crafting, holiday ideas, tutorials, and more! This week she's sharing photos of her favourite California native plants. by About Life and Love. 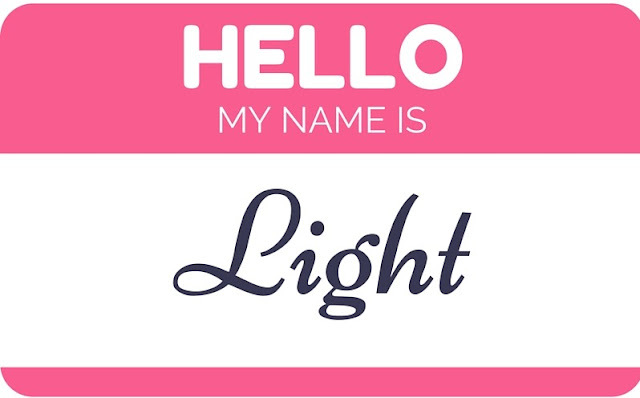 This is a beautiful post about the importance of names, and why we shouldn't misuse them. Oh my, these are WONDERFUL! 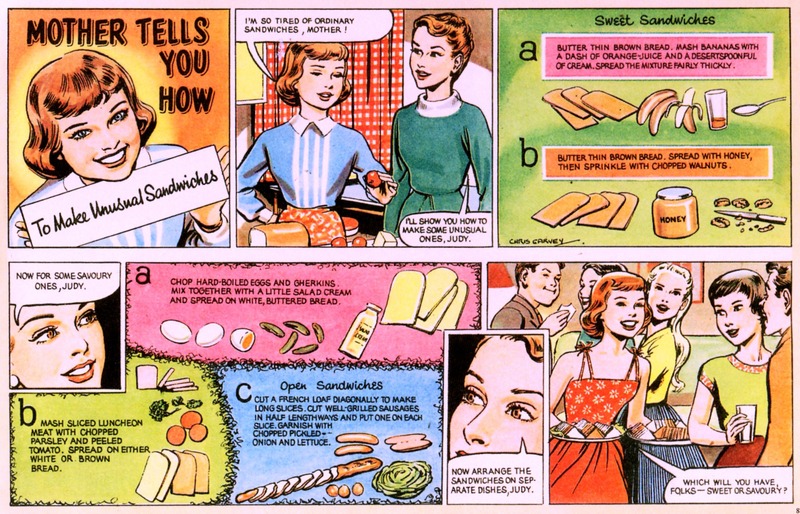 "ordinary sandwiches" ha ha ha! It cracks me up every time, that one! 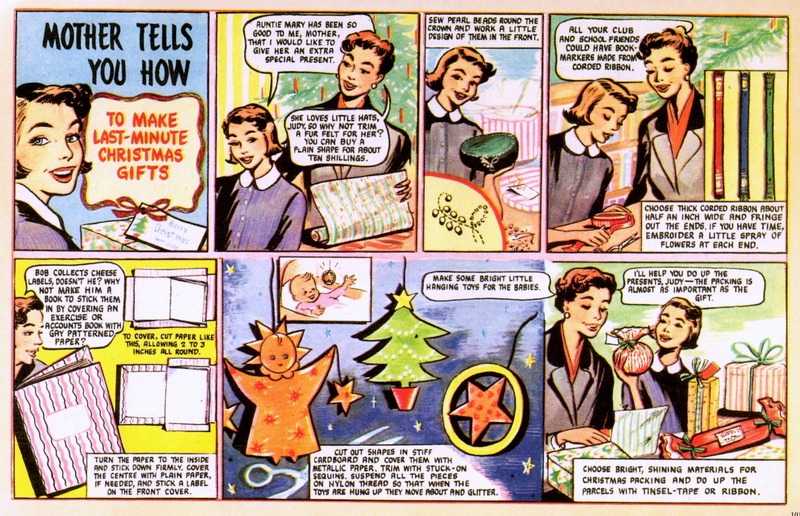 Loving the retro style comic strips, so fun! Great to find another link up too. All that table laying looks like hard work. Oh yes I remember seeing an issue of Eagles but never Girls, it is an interesting comic although I think our values and customs as parents have changed since then!